How do I view the wait list for a catalog course or program? 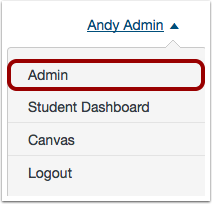 As a Catalog admin, if you set an enrollment cap as part of adding a course or adding a program, you can enable a wait list for the listing. A wait list allows students to add their names to a list to join a course or program when the enrollment cap limit has been reached. When a student drops out of the course or program, the first student on the wait list will be added to the course. You can manage each course or program and view the wait list for students who have added their names to the wait list. If no students drop a course or program, you can manually add students to a course from a wait list by changing the enrollment cap. To open a listing, click the name of the listing. Click the Wait List link. The wait list shows the order that each student joined the wait list. You can view the student's name, email address, and wait list status. The top student will be the next student to receive a course invitation if a spot becomes available. Previous Topic:How do enrollment caps and wait lists appear in the catalog for a course or program listing? Next Topic:How do I manage catalog program requirements? Table of Contents > Admins - Catalog > How do I view the wait list for a catalog course or program?